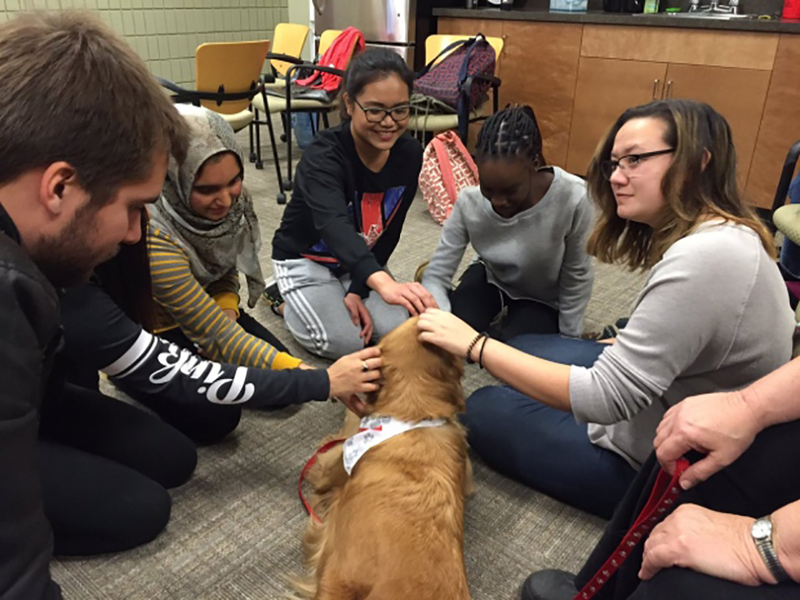 This uni has the best way to help students relieve stress and we are SO JEALOUS! Feeling stressed with everything you need to worry about? Coursework, exams, bills as well as trying to balance a social life with keeping healthy. It can get too much sometimes; you need a release, a mood booster, a little pick-me-up. Well, a University in Canada has the best way to achieve that. 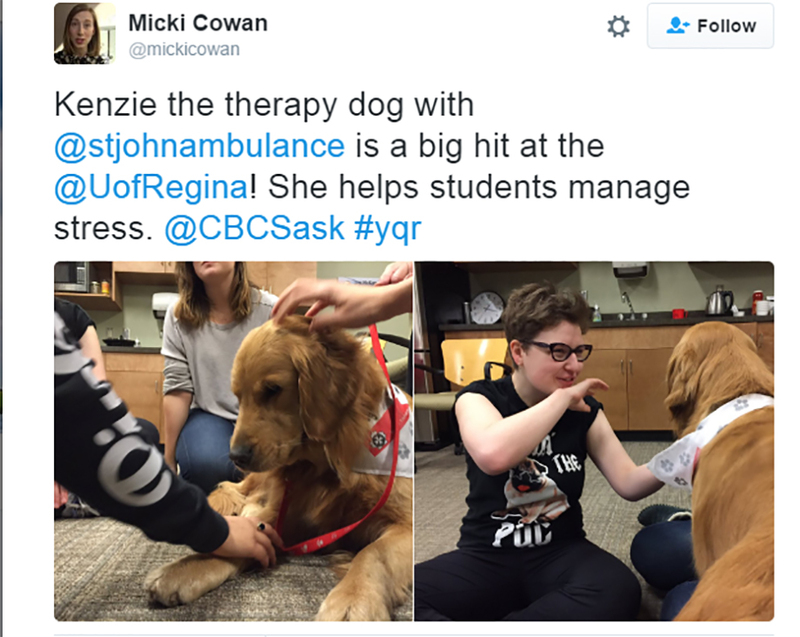 By allowing their students partake in 'Dog Therapy'. Weekly sessions where students can just hang out and play with the cutest dogs. The University of Regina in Saskatchewan (trying saying that after a few beers) has introduced the program to help students de-stress and to give them a little bit of an escape from the issues they face on a daily basis. Right now the dogs — organised through St. John Ambulance — go to campus every Tuesday. The program has been running for a while, but now exam season is coming up they are increasing their service as they have a feeling more and more students will need it. It is funded by the Association of Saskatchewan Realtors. The association said they'll be increasing the number of weekly sessions during the exam season. I think the University of Regina is the best University in the world.